I love experiencing everything the holidays have to offer. 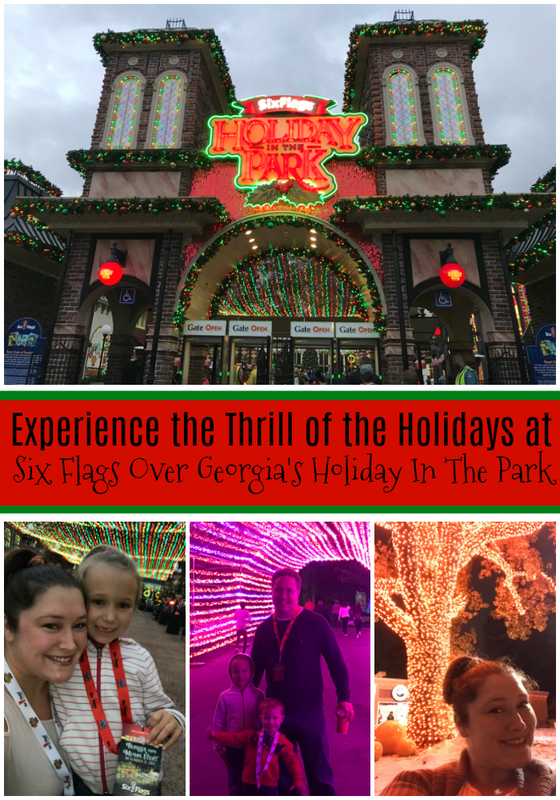 Six Flags Over Georgia has open it's doors for an extended season for the third year in a row to bring you more of your favorite attractions with a Christmas spin. 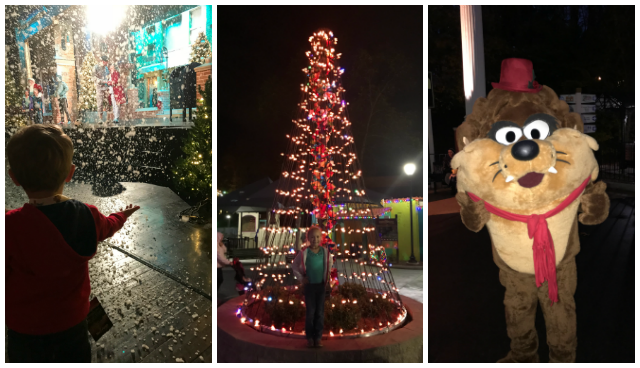 My family recently had the opportunity to check out Six Flag's Holiday in the Park at a Media and Blogger Event. We received complimentary parking and entry, food vouchers, line hopper vouchers, and other swag as well. The event was set to start at 4 pm (Holiday in the Park hours varies but 4-10 is the average norm), but my husband had to work until 4. We made it to Six Flags around 5:15 so we didn't miss the tree lighting that started at 6pm. 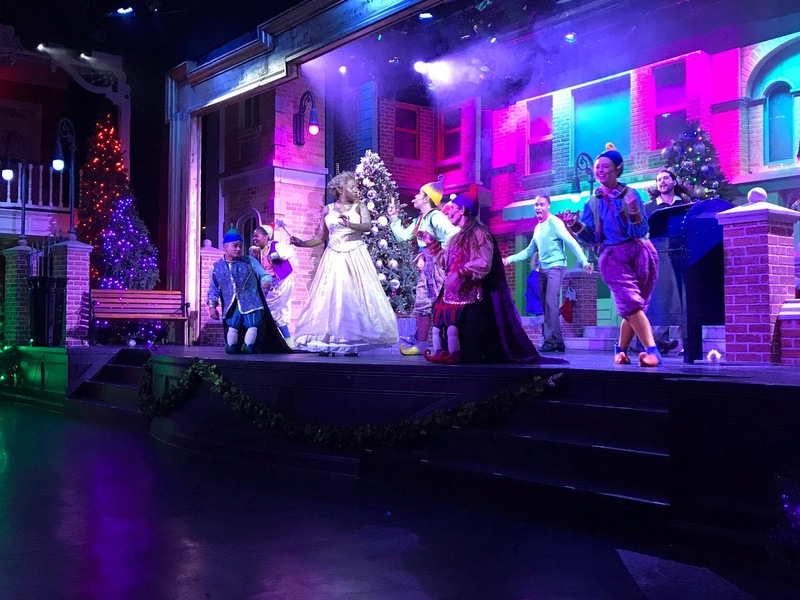 After the tree lighting and dinner, we decided to head over to the Crystal Pistol to check out their holiday themed show, "Because It's Christmas". It was very cute and my husband even almost cried at the end. The story is about to children who are mailing a letter to Santa because all they want for Christmas is their Daddy, who is a soldier, home for the holidays. It will definitely pull at your heart strings while making you sing and dance along as well. After the show, we headed to ride the train which was a little different ride. Mrs. Claus takes you on a tour around the park in the North Pole Express and you get to learn about the many colors of Christmas. My son loves trains and although we should have rode a few other rides while we waited, it was still fun because SANTA was at the end! That's right, you can even meet the big jolly guy yourself! I highly suggest checking out this amazing holiday event. You can get a discount too if you buy a Season Pass for next year! Don't forget to check out the schedule before you head out to the park and last day to enjoy this seasonal fun is January 3! What do you think of Six Flags? 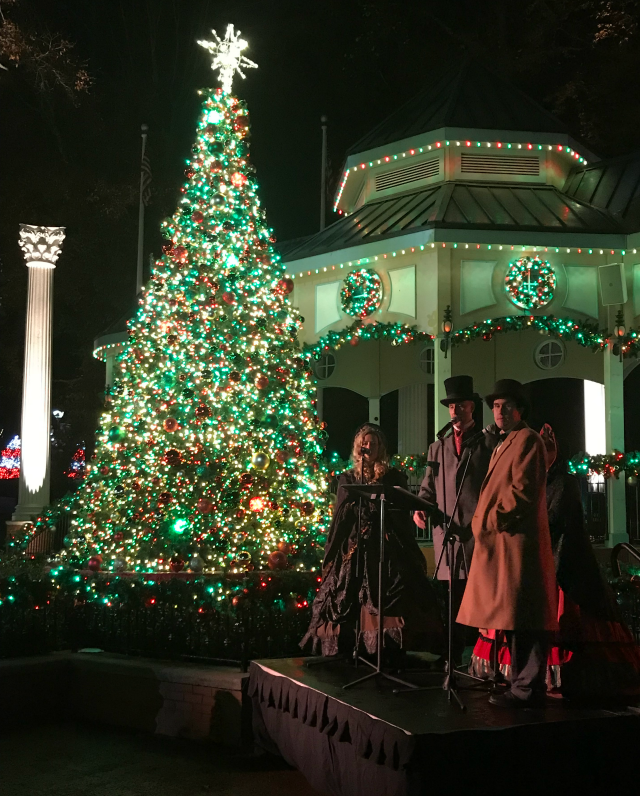 Will you be checking out Holiday In The Park? I received complimentary products to provide this post. All opinions are my own. Oh how awesome!! Do all Six Flags Parks do this or only those down south? I don't think ours does but we get freezing temps and snow. Wish they did though! I love all the lights! It's been too long since I went to an amusement park.